In this post we discuss about Print Command in Tally. 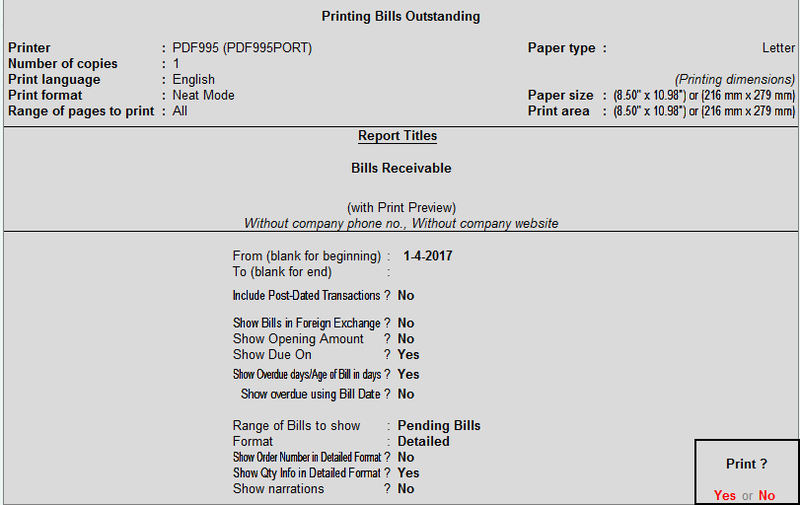 Printing reports is most useful feature. Filing Returns, Balance Confirmation, Balance Sheet, Profit and Loss, Trial Balance, Payment Advice, Receipt Advice, Cash Deposit Receipt, Ledger Account all these and more reports needs to print in daily routine. But did you know, every report has multiple print format and how can you change the format as per your requirement. If you remember, Till Tally Version 5.4 we used dot matrix printers and having very few options to print report. 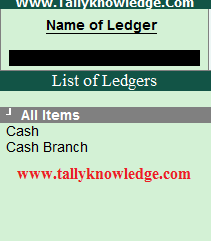 From Tally 6.3 onwards we have lots of options to get print reports and side by side Tally Solution update the software for easy to use and make it user friendly. So Take a look of Print Command. 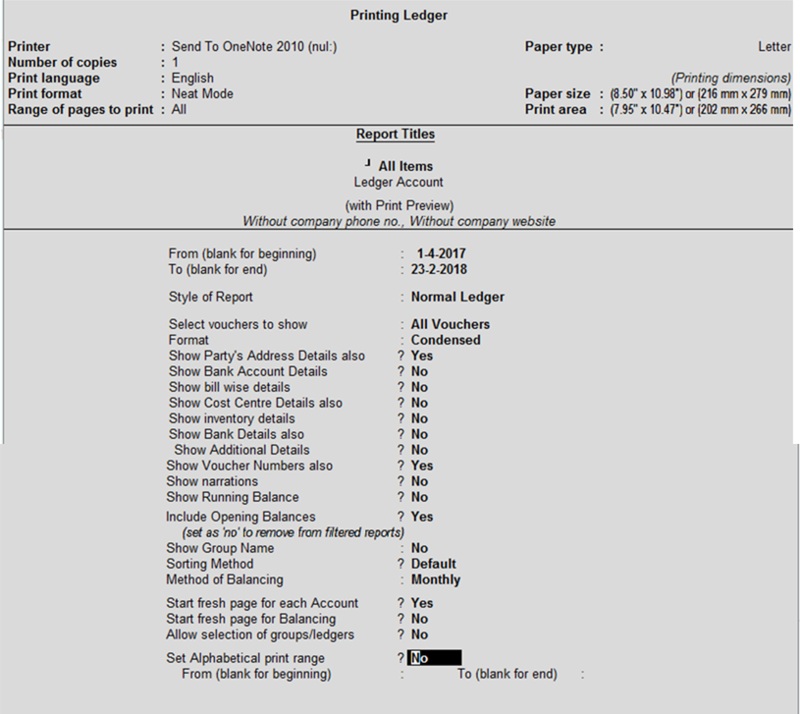 As you see above image printing menu contains some options..
Printing Cash Book allows you to print all Cash Ledger combined in a single or separate Report. When you select to print Cash Book system ask you to print combine cash book or select individual cash book for Head office or branch office. Select yes to required option and accept. If you want to see preview then press Alt + I for print preview. You can also save the same in pdf version through Export (Ctrl + E) Command. 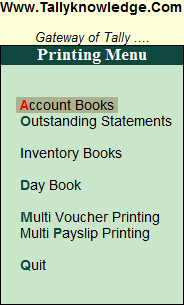 The same can be used for other options like outstanding, inventory books, day book, multi voucher printing. In receivable you get the outstanding details of debtors from which you received the outstanding balance/ money. Press Enter to take print and select yes to required options. Same options can be selected for Payable, Ledger and group section. You can also print Confirmation of any ledger account and export it directly into pdf or you can mail direct to your customer/ supplier. Tally has various printing options. This is part - 1 of Print command in Tally. More important printing options will be post in part 2 very soon. If you have any comment, suggest or request please follow our facebook page www.facebook.com/tallyknowledge or comment in the post. We will do possible try to resolve your issue.